The good guys wear white hats. Not black hats. White Hat SEO follow Google approved conventions to improve search engine ranking. Black Hat SEO is covert and aggressive techniques to circumvent Google's barriers. Search engine optimization (SEO) is a set of practices deployed to help a website or web page rank higher in the search engine unpaid rankings. The higher the rank, the easier it is for web users to find your business online. A highly visible website or web page will inadvertently attract more visitors. Both strategies share a similar objective (i.e., to increase visibility and traffic) but they employ different techniques and tactics to achieve this objective. White Hat Links focuses on quality content that is relevant, accurate and original. Google has a complex algorithm that rewards content. To take advantage of free ranking, the content you generate online must be pertinent to your niche, well-written with minimal grammar and spelling mistakes and must be original. To ensure a better ranking in search engines, the online content your business produces must be tailored to your industry and your particular product or service line. The content must also be original and not reproductions with minimal adjustments. Finally, quality content is not restricted to just text. It can take the form of infographics, videos, podcasts, and other mediums to create variety. Keyword strategy can be both single word (keyword) and long-tail keywords (a collection of words or a phrase). Or it could be a combination of both. White Hat SEO employ keyword research to find the right combination to deliver results. Just stuffing your blog with keywords is not a strategy. The software is required to determine the keyword or phrase and the exact location to place each one in the article for maximum reach. Meta description refers to the first few sentences about your business that usually appears in the search engine page. White Hat Links use Meta descriptions to push your website or video tab up the search engine rank. One of the most interesting things most companies do not know is that the best Meta descriptions are not stuffed with keywords. White Hat Links is about generating the right links at the right places to deliver maximum results. Google rewards not just content but links. Backlinks are especially important in good online content. If other sites share your links in their platform, then it is an endorsement that your content is good. However, you will need to be mindful that just because your link is shared everywhere does not necessarily guarantee Google's praise. It also depends on where or who is sharing these links, i.e. there must be some shared or common denominator that links the two. On the subject of links, it is also important to note that internal links can also play a role in adding value to your website. The general rule of thumb is about two and a maximum of three ties in the right places. Quality is unimportant in Black Hat SEO because the strategy uses automated techniques to beat the system. Bots are commonly used to generate automated content that may have keywords to help the URL rank higher in Google and other search engines. 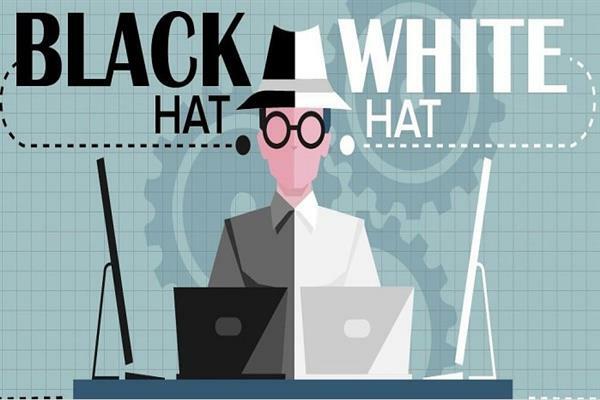 Black Hat SEO can have keyword research, but because the content is mass-produced, it is likely that it could also be stuffed with keywords. While keyword can help the URL to rank higher, it is not a sustainable practice because search engines are constantly revamping their checks-and-balances to catch illegal online tactics that disadvantage other genuine efforts. Black Hat SEO uses automation to generate fake web pages. The principle is simple, the more web pages there are on the internet that has the keyword/s a web user will input the higher are the chances of the customer stumbling into one of these doorways. When a user clicks on it, they are directed to another page that may be entirely unrelated to what they are looking for. The idea is to direct traffic illegally to your website by tricking the user into believing that he/she was clicking on something else. One common strategy in Black Hat SEO is to hide links in a content page. The user is unable to see this on the screen and may accidentally wander and click on it. The user is suddenly re-directed to a page that is confirming an order. Some of the ways this is achieved is by putting white text on a white background which is not visible to the user. Google recognizes links as authentication for your business.That is why Black Hat SEOs generate link farms that populate one another. They also have purchased links that a client can buy in an attempt to improve rankings. Most of these cheap sale links don't work. Cloaking is a Black Hat SEO strategy that works by tricking the search engine spider by presenting content that is different from that given to the user’s browser. Content is delivered directly to the user using the user’s IP address or HTTP header without the knowledge of the search engine. Spinning is about mass reproduction. Changing a few keywords in the content and disguising it as new material is a common Black Hat SEO strategy. Which is better- Black or White? Understanding how each strategy works can help your business decisions on the strategy that best suits your intentions. White Hat SEO relies on organic search strategies that are approved by search engines and operates on the principle that the more genuine work you put into growing your reach, the more you will be rewarded. Black Hat SEO are shortcuts that are designed to trick your way into the rankings technologically. If you are not sure which strategy suits your business, check with a digital marketing firm like GoForPost.